Don't see this happening any time soon...they would need to spend serious amount of time to animate that horse and code it. It would behave very different to other vehicle classes (i don't think you would like to see robotic looking horse/donkey/mule). It seems to me that they could improve current animations for humans before they go to some other animal. 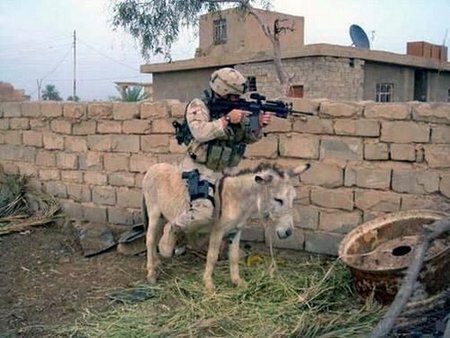 There are some folks working on animals in a mod, but not sure we're ready to consider Squad Dead Redemption just yet.